A Lyme-literate nurse practitioner writes about chronic Lyme disease. The image of ticks as “nature’s dirty needle” is also dramatic. Ticks stick their mouth parts into mice, birds, squirrels, deer and untold other wild animals, picking up viruses, worms, protozoa and oh yes, bacterial infections like Lyme disease. By the time the tick sticks its dirty needle into you, you risk contracting a variety of different pathogens, some of them not even named yet. 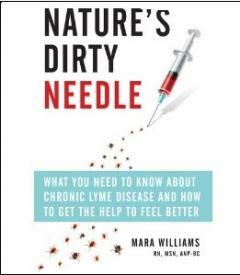 In her book, “Nature’s Dirty Needle,” Lyme-literate nurse practitioner Mara Williams explores the topic of chronic Lyme disease as the end result of this toxic soup transmitted by tick saliva. The Lyme spirochete, Borrelia burgdorferi, is only part of the mix. The complexity of chronic Lyme, with its myriad coinfections, is one reason it can be so confounding to diagnose and treat this disease. And why it’s essential for Lyme patients to find a knowledgeable practitioner. Williams describes symptoms, treatment and some of the politics surrounding Lyme and coinfections. She interweaves personal anecdotes from individuals with Lyme, spelling out how difficult it was for them to get properly diagnosed, as well as the ups and downs of their experiences with treatment. At the end of the book, Williams lays out her ideas for a healing center called Inanna House, which she would like to build in Sonoma County, CA. It would be geared to the needs of chronic Lyme patients, a place to receive supportive therapies and start IV treatments in a safe environment. It would offer both in-patient and out-patient care, as well as workshops and classes. It would incorporate a range of healing modalities, both western and alternative. I don’t know how far along her plans are, or what it would take to open and run such a facility. But as I read the last chapter, where she describes her vision for Inanna House, I could imagine Lyme patients everywhere giving the idea a standing ovation. Next Post » LYMEPOLICYWONK: Patient Viewpoints Survey Update. 2,000 Responses! We Are On Our Way. The book states "the millions with CLD". But there are only about 4000 of us per the CALDA survey and no more than 3000 on the Yahoo group Lyme sites. I know there are more. Does anyone have an estimate. Maybe we need to occupy the CDC. Thanks for describing this new book and the author's dream and plans for a healing center. I observed the AIDS epidemic for the past 30 years, from the initial surprise, to protests, to discovering medications to treat and slow down the illness, to creating lots of community organizations to meet the various needs of AIDS patients. Why isn't there a push to do the same for Lyme patients? Many need help accessing doctors, meds, supplements, even having drop-in centers, and more. Where is the organizing to meet the needs of those without the funds to take care of medical needs? Why can't we find some folks with a lot of money who would like to donate to a charity fund that others could apply to for assistance in covering their medical care? What about setting up a Lyme expenses charity fund that people could tithe into, say like 1-5% of the amount of money they spend monthly on their own care? Just mentioning some ideas here. I'd love to see the day people can contact organizations for help they need in addressing Lyme disease, just like people today have lots of AIDS organizations they can contact for assistance which are available here in San Francisco. In response to Bob and Margaret here – millions in the US and abroad have Lyme and co-infections. For the past couple of years in the US, yearly reports of new infection cases have been in the upper 20-30 thousands, with that number assumed to be only 10% or less of actual yearly cases, putting the actual new case count into hundreds of thousands! I like your idea of Occupy CDC! And Margaret, I suggest you join some of the Lyme chat groups for more discussion about treatment options. If you are in California, you can join the CaliforniaLyme one at http://health.groups.yahoo.com/group/californialyme. Otherwise, just substitute your state name for california. Also, http://www.lymenet.org is a very good community discussion board. There are a lot of people there who can discuss your concerns and questions and give you referrals. My partner died from complications of not being diagnosed/treated with Lyme. She told the Doctors about the "bull's Eye rash" she had on her neck.Every Doctor said Lyme didn't exist in Canada. It is time we become politically active and create awareness and action to help all those falling through large cracks. 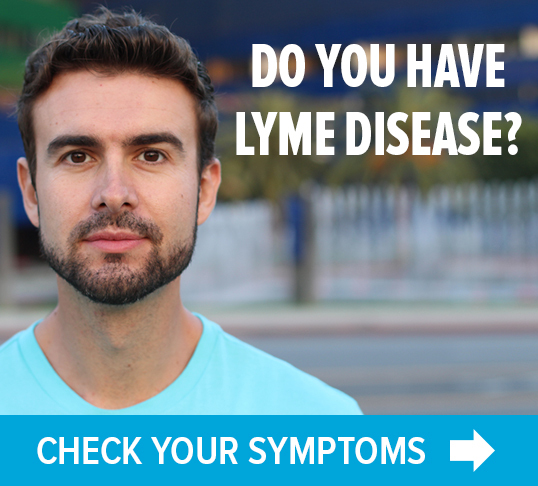 For those who need help in paying for a Lyme test, please see http://www.lymetap.com/. Testing when one has been ill for a very long time will not necessarily give positive results though. The patient must see a LLMD (Lyme Literate Medical Doctor) to get a clinical diagnosis so that treatment can begin. 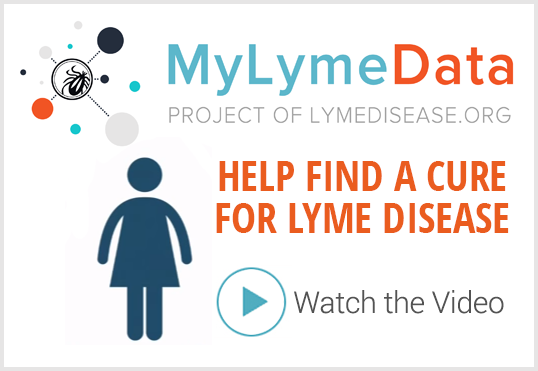 Many Lyme Disease support sites offer some help in finding a LLMD. Just don't give up! Help is out there!